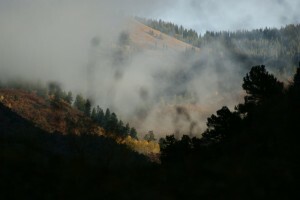 News from the Core, East and West End Aspen. The big news in Aspen Real Estate is that there is an inventory crunch especially at the bottom end. The Stats – 17 closed sales this year to date on an inventory of 29 listings. Four of the current 29 listings are under contract. Interestingly two of which are at the Gant which has been slow in the past year (only 2 sales at the Gant in the previous 12 months). Commentary- If you were looking for a 3 bedroom under $1,000,000 the chances of finding one have gone down substantially. Much of the desirable two bedroom inventory has eclipsed the $1,000,000 asking price and we are seeing new listings coming on the market between $1500 to $2000 a square foot. Also do keep in mind that the sub $1,000,000 units are generally in less desirable locations and complexes and therefore tend to be priced less per square foot than those in the $1,000,000 to $2,000,000 market segment. 5 of the 17 were two bedrooms, 4 were studios and the balance were 1 bedrooms. Complexes included the Chatalet, Midland, Winfield Arms, Fasching Haus, Little Victoria, Silver Glo, Sunrise, Aspen Bed and Breakfast, Pioneer Condos, Riverside, Ute Condos, Christiana, Durant Condos, Aspen Square and Independence Square. More information and sold data on the individual units in the attached pdf. For more information on the Aspen Real Estate Market call Drew Kitchell at 970-379-7777.